Ktwo runs a national demo program. 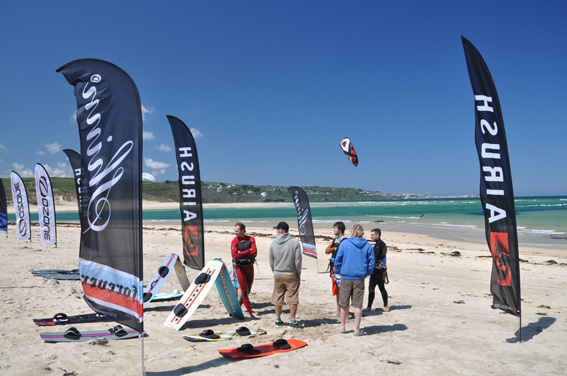 One side of this are a number of exhibition demos, where Ktwo will be attending a number of key demo events through the year, from Scotlands windfest to the National watersports festival on the south coast. The other aspect of our demo program will be run on a more personal basis travelling to the UK's most popular beaches according to the weather forecast and tide state. This way we can maximise your time on the water. The listings for these demos will be posted on the national kiteboarding forums. -You supply a debit/credit card number and the address to which the card is registered. This allows us to do an address check on the card and yourself in order to identify you to us and your official address. We do not charge the card at all. -We post the equipment to your card address. -You take a week or two to try the kit in as wider range of conditions as you can find. -You then post the equipment back to us. It seems only fair that if we pay to post it to you, you pay to post it back. This can be done easily with any 3rd party courier company like parcelforce for example. That’s it, simple, easy and very effective. It stands to reason that the brands we deal with test very well, and with an email to introduce yourself we can normally narrow down the kind of kit, style of riding, size and suitability of the kit you are looking at. Operated for 4 years now this demo program is extremely popular and effective. If interested please send us an email us here or use the contact button at the bottom of the website. Copyright © 2019 KTWO Distribution.